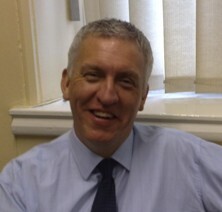 Tony Gill is a director of Intelligence Analysis Training Ltd and also a recently retired police officer with West Yorkshire Police, having completed over 30 years service. 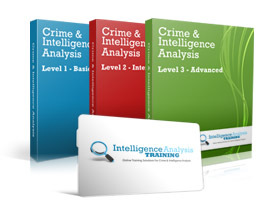 Having retired Tony is looking forward to the future with Intelligence Analysis Training. Tony has been involved in Intelligence since the late 1990’s working first in a Divisional Intelligence unit, then in Major Incident Rooms as an Intelligence Officer and Analyst, specialising in the analysis of Communications data. Latterly he worked for three years on a major Operation targeting drug dealers involved in the wholesale importation of Cocaine and related gun crime. The Team in which he served was recognised by the Home Office and received an award for the work it had done and the success it had achieved. For the last seven years of his service Tony has been developing and delivering Intelligence Analysis training from Bishopgarth, West Yorkshire to sworn and unsworn personnel from across the UK and the world, these countries include Romania, Bahrain, Sweden and Kenya. Some of these courses were delivered on behalf of The United Nations Drug Control Programmes (UNDCP), Euro customs & The Kenyan Anti Corruption Commission, Analytical training in Bahrain and to Swedish Customs, Intelligence Analysis to The National Rwandan Police on behalf of Belgium. In addition he has provided inputs on Initial CID, Initial Management of Serious Crime and Senior Investigating Officer courses. He has also delivered training workshops to UK Government agencies and has been part of the review of the Serious Sexual Offences Intelligence Unit of a UK major police force. Tony has also contributed to the development of an Intelligence Analysis course for the National Police Improvement Agency participating in a series of workshops, and writing material for inclusion in the course. He is the holder of a Bachelor of Science Degree in Production Engineering; he is a fully qualified UK Police trainer, licensed and authorised ANACAPA trainer and holds a Post-Graduate Certificate in Education. Tony is a member of International Association of Law Enforcement Intelligence Analysts (IALEIA), the International Association of Crime Analysts (IACA) and an Associate member of the International Academy for Investigative Psychology. He continues to design and deliver Intelligence and Analysis Training for the police service and private industry.